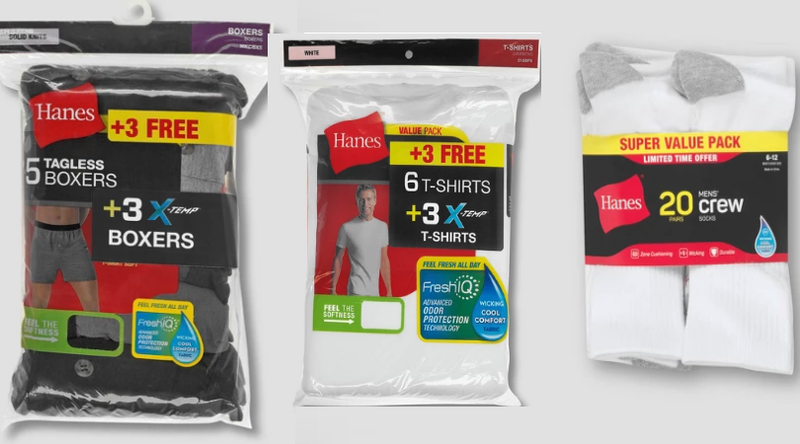 Hanes Boxer Briefs, Socks and Undershirt Bonus Packs as low as $7.50 (Regular up to $16.99)! Socks and underwear under the 🎄! Big thanks to Kayla for letting me know about this deal! 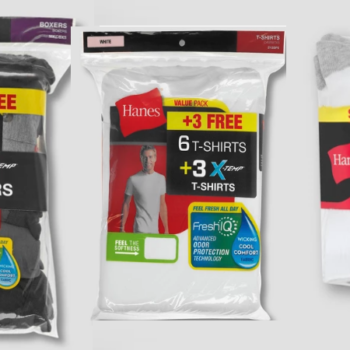 Target has their bonus and value packs of boxers, socks and t-shirts on sale for $10 (regular up to $16.99). Even better, this offer also qualifies for the $10 off when you spend $40 in clothing. Final cost $30 or just $7.50 each!